Every time I go over to my parents, I peek into their fridge. Not really because I’m hungry, although half the time that is why, but because I’m curious what’s in there. 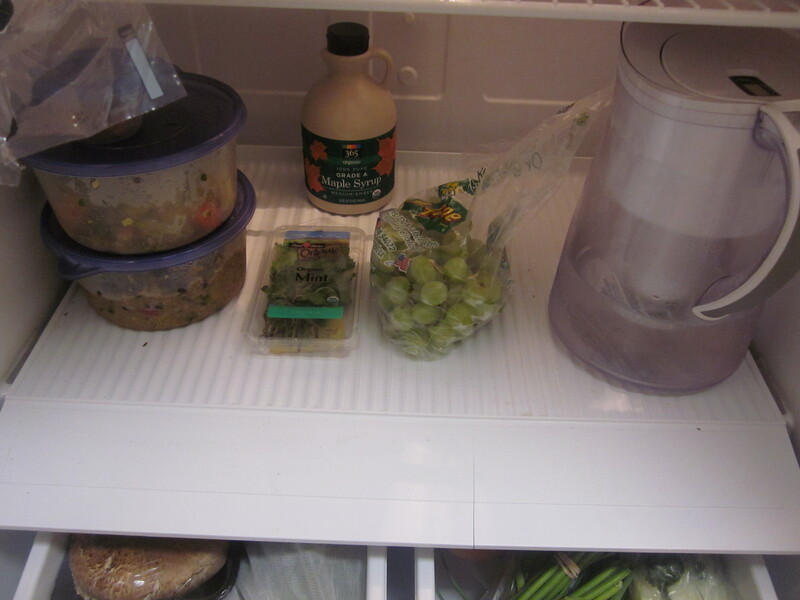 My sister once told me she thinks what a person has in their fridge says a lot about them. So what do I keep in mine? Come Saturday/Sunday it starts looking like a ghost town in there. And then at some point I make it to the grocery store and then it looks like this. 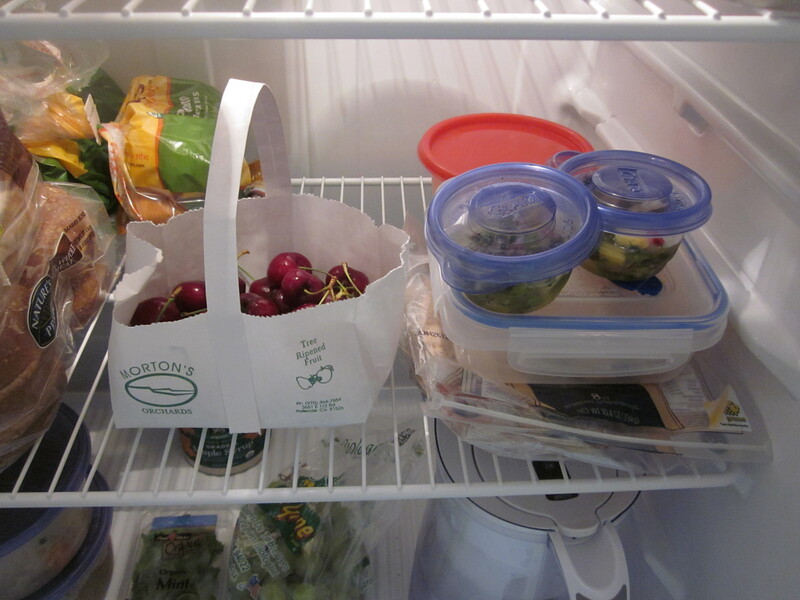 More power to you if you’re the kind of person who keeps your fridge organized, but I am so not that kind of person. I just put things where they fit. At the bottom we have veggies. 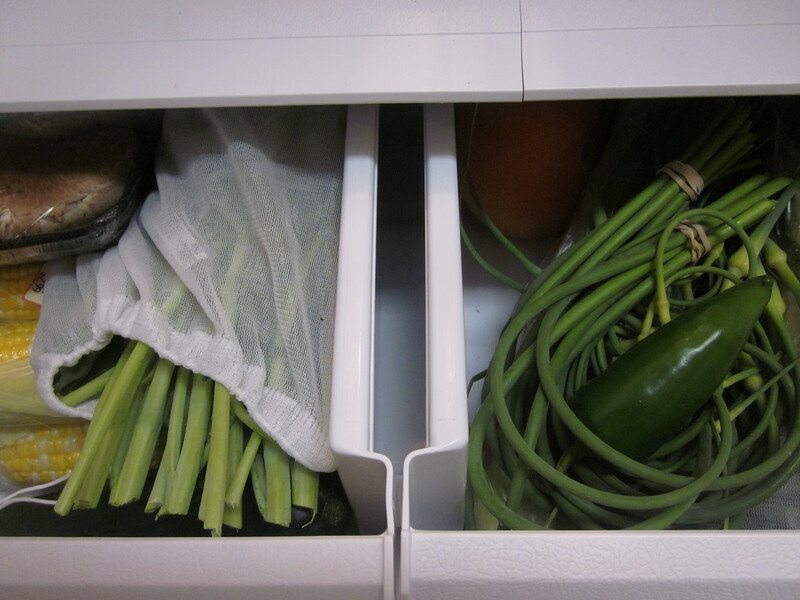 Garlic scapes!!!!! And corn!!!!! Must be summertime. Also in there is probably at least 3 bunches of cilantro and green onions that are 2 weeks old and starting to get all dried out. I don’t actually look to see if I already have things before I go to the store so I basically add a new bunch of cilantro to the collection every week. Leftovers + stuff that won’t fit into my exploding veggie drawers. And water, of course. Organic cherry splurge + more leftovers. Here’s where we keep all the good stuff. 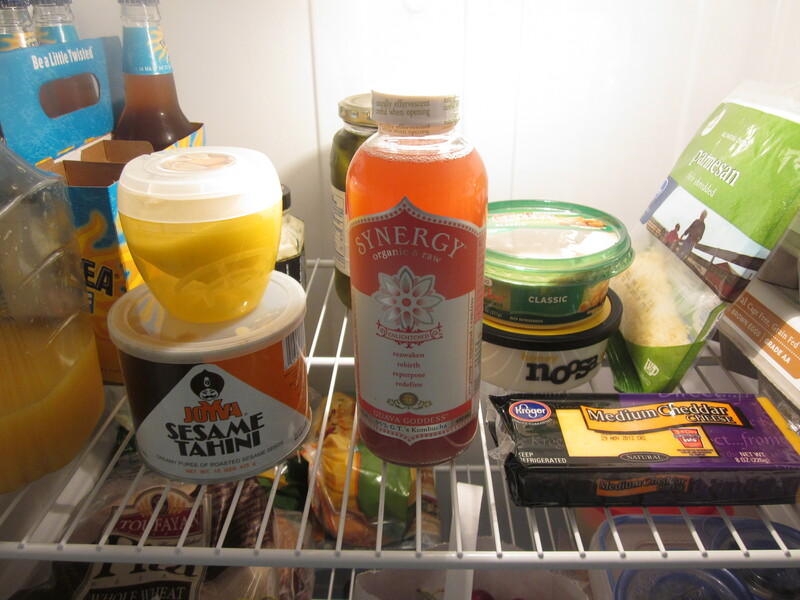 We don’t usually keep Twisted Tea, orange juice or kombucha on hand, but it’s always such a treat when we do have them. Plus your standard yogurt, hummus, cheese and egg collection. 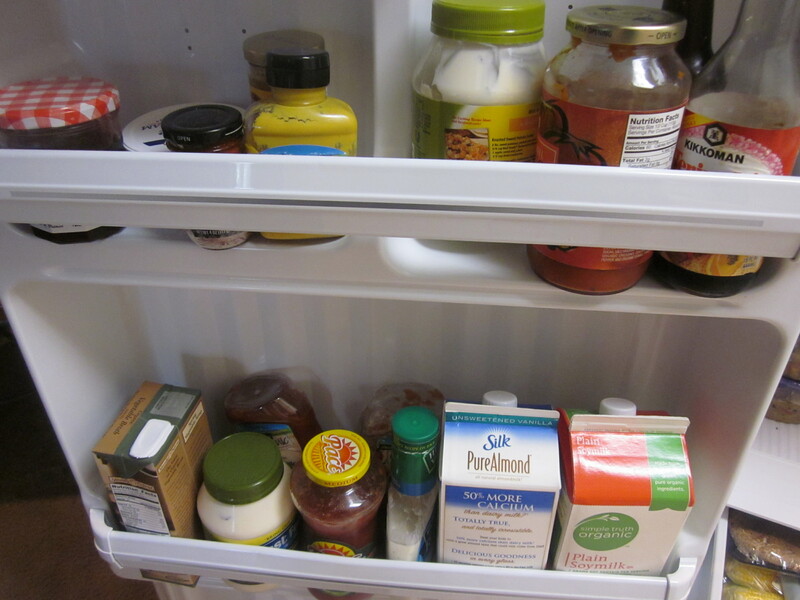 Condiments + milk. Don’t ask why we need two ketchups and two mayos. I don’t know the answer. 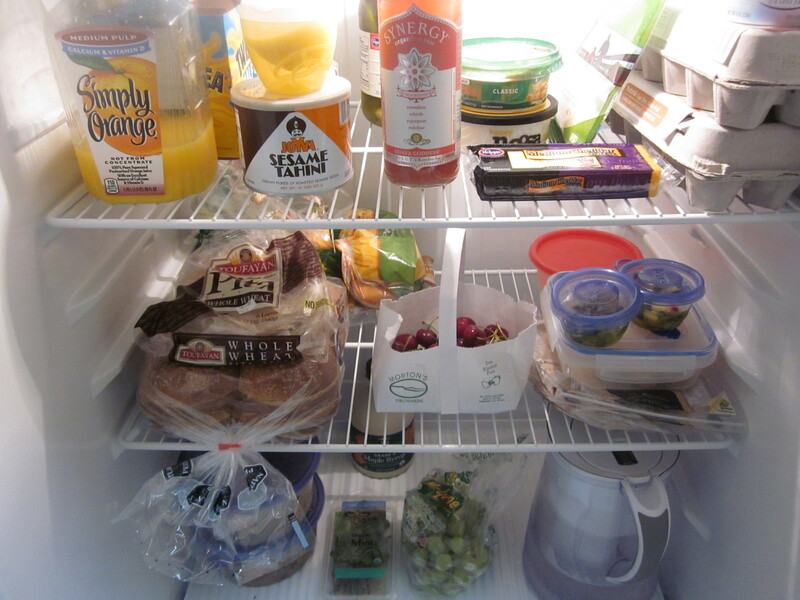 So if your fridge says a lot about the kind of person you are, I guess I’m a ketchup-loving, bread-hoarding, veggie-stuffing, leftover-relying kind of person. Who loves sweet drinks and fresh fruit and who would rather have too much of something, than not enough. 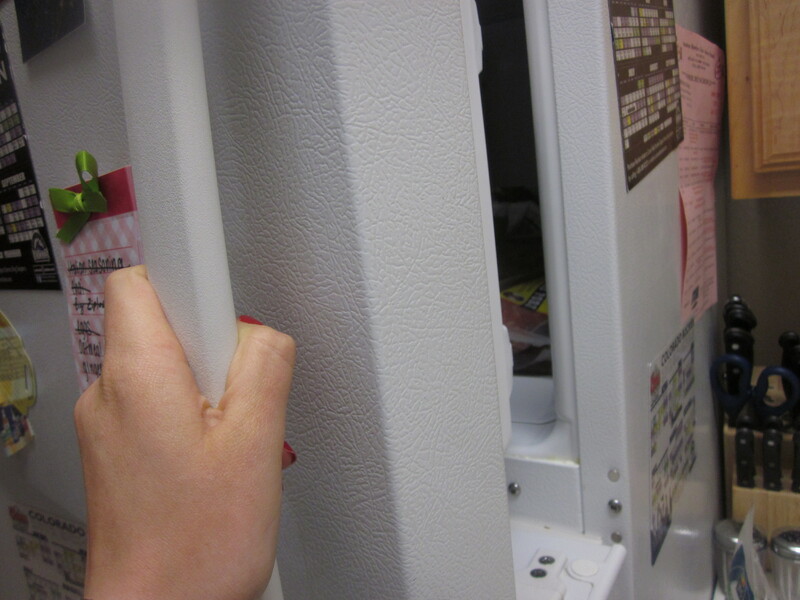 Don’t even ask what’s in my freezer. I have enough pickled pork and andouille sausage to feed a small cajun army in there. P.S. Thanks for all the kind words on my blog anniversary post! 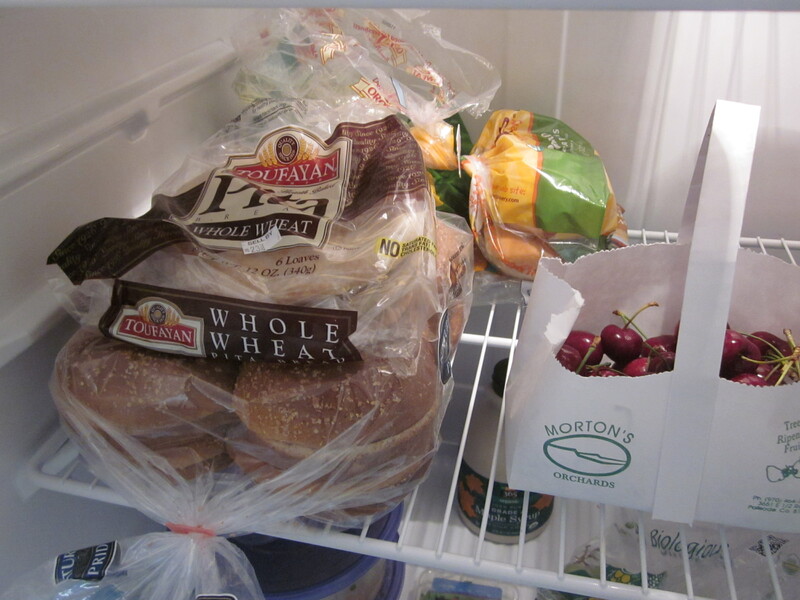 I love seeing what other people have in their fridges! I don’t know if it’s just because I’m nosy, or if I really like food. I think it’s both.